Where has the summer gone? 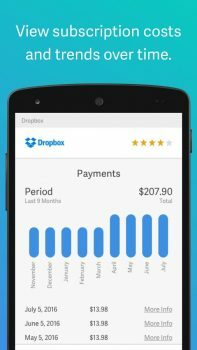 It feels like just yesterday we were posting the best apps of July, and now we are already closing in on August. 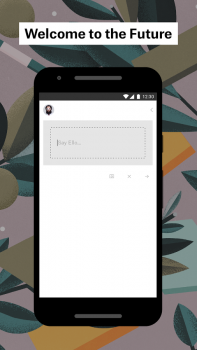 As we approach the “dog days” of summer a bunch of great new Android apps have been released. If you were busy spending time at the beach you may have missed a few of them. Don’t spill your lemonade! We’ve got you covered. 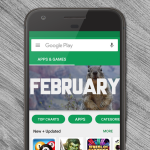 Here are the best Android apps of the month. 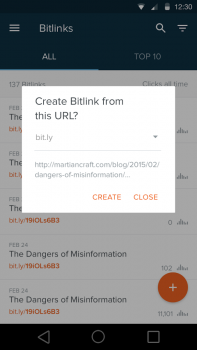 Bitly is a URL shortener that can do a lot more than just create short links. 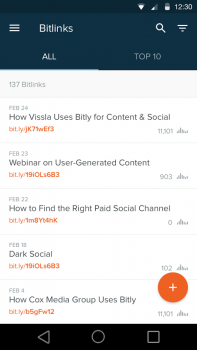 You can create links with the app, share them, and then track how they perform. See where people are clicking from, what website they are using, and how many clicks. 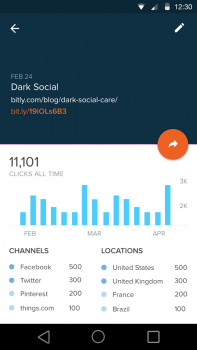 If you do a lot of sharing, Bitly is a great tool. 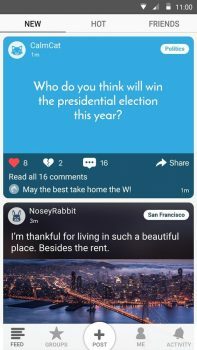 Candid is a place for discussing your favorite things candidly. Everything is anonymous, which means you can say what you really want to say without anyone knowing your identity. You can see posts from friends without knowing which friend it is. Moderators keep the conversations civil. Channels is a place for connecting with Android users who share your taste in apps and games. It automatically scans your phones and adds you to the “Channel” for every app and game you have installed. 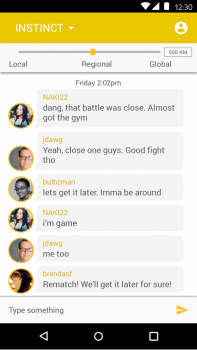 Each Channel is like a little community based around the app or game. 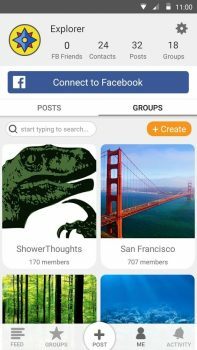 You can ask questions, share tips, and just talk with other users. If you have a massive music collection, Discogs is the best way to organize it. 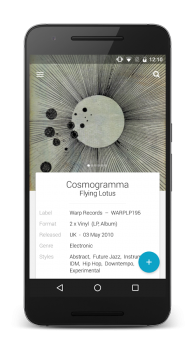 Discogs is an app for cataloging your collection, whether it’s digital or physical vinyl. 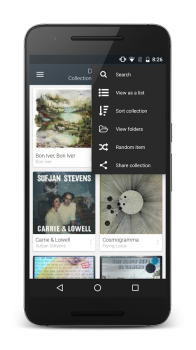 You can add music to your “Wantlist” to buy it later, and search for new music within the app. Dscogs can even show you music stores on a map. 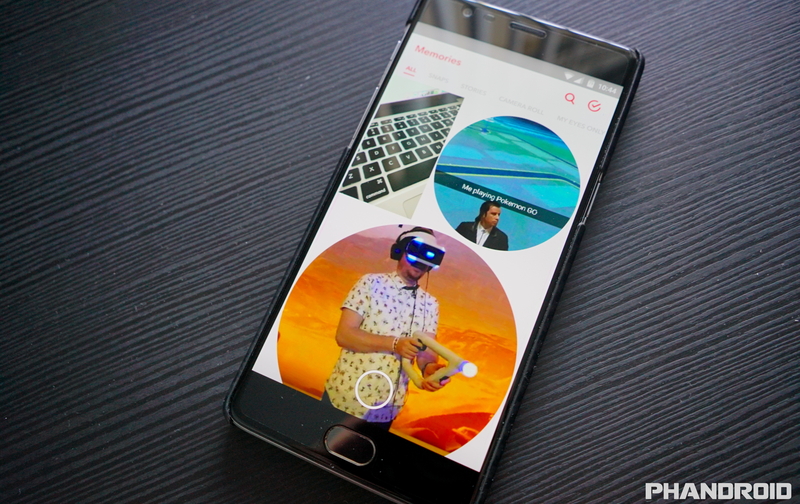 Two years after launching with a lot of hype, Ello is finally available for Android. 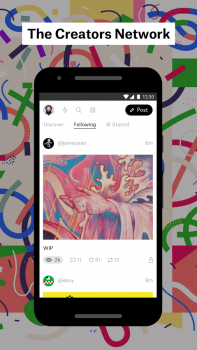 Ello is a social network with creators in mind. It’s a community for creators to share ideas and participate in the creative process. 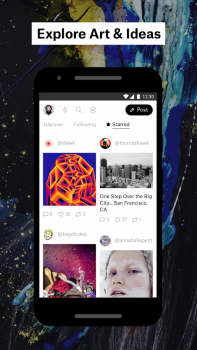 Unlike other social networks, Ello prides itself on having no ads. 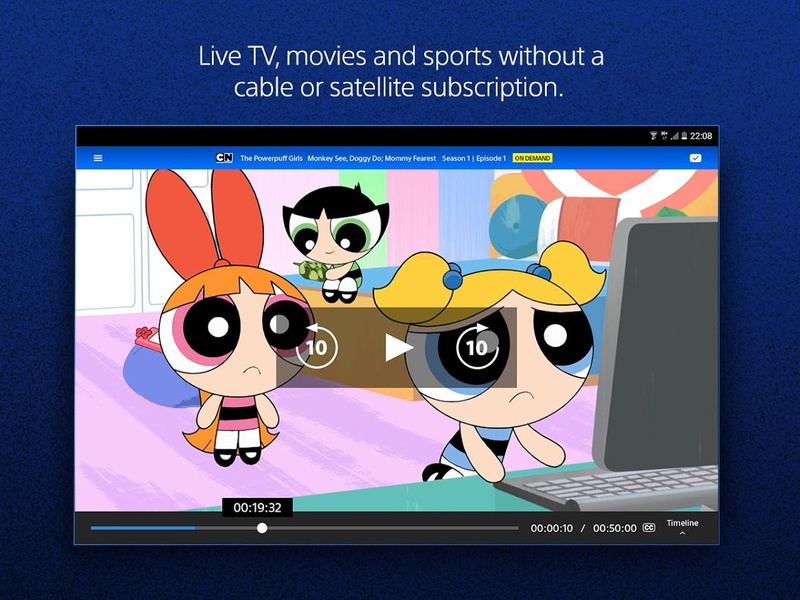 Vue is Playstation’s internet TV service. You can get many of the same channels you’d find on cable, but Vue works over the internet on a variety of devices. You can watch TV on your phone, tablet, or set-top box with Playstation Vue. The base package includes over 55 channels for $30. Since the infamous “3-step bug” has killed the process of hunting down wild Pokemon, developers have taken matters into their own hands. 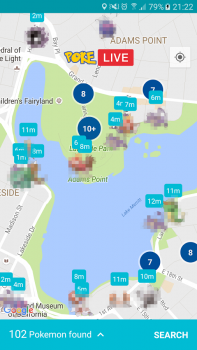 Poke LIVE is one of the dozens of apps that can show nearby Pokemon on a map. The great thing about Poke LIVE is you don’t have to log in, which means your account is safe. RazerGo is an app for chatting with nearby Pokemon GO players. 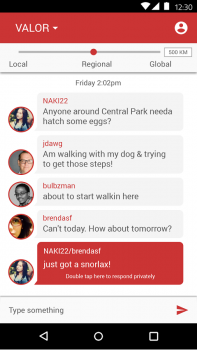 You can chat with your local teammates, or open things up to the region and even worldwide. Communication is one area where the Pokemon GO game is lacking. 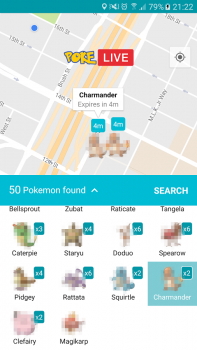 This app fills in the gap and allows you to coordinate to take down gyms. 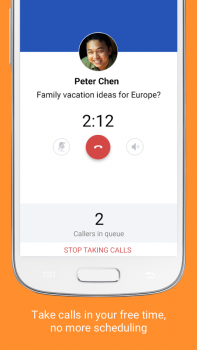 SpareMin allows you to only take calls when you have a spare minute. Other SpareMin users can send requests to you. 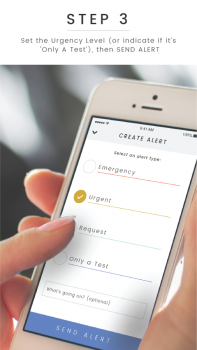 When you have some time to make a few calls, the app alerts those users that you’re available. 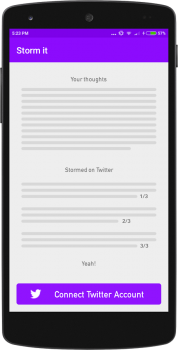 The app creates a queue of requests so you can go down the list. 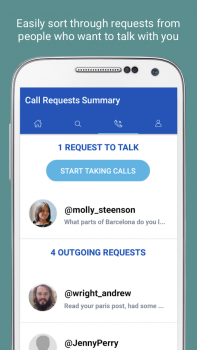 Every call has a hard cap of 5 minutes, so you don’t waste a lot of time. Everyone goes on a good tweetstorm once in a while. What’s a tweetstorm? When you have a lot to say it turns into multiple 140-character tweets a.k.a. 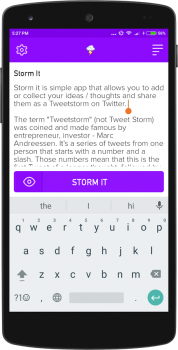 “tweetstorm.” Storm It allows you to collect your thoughts in a more traditional text editor and then send it off to be automatically broken up into tweets. 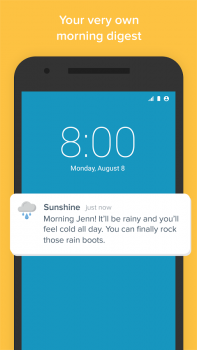 Weather apps are a dime a dozen, but Sunshine takes a unique approach. 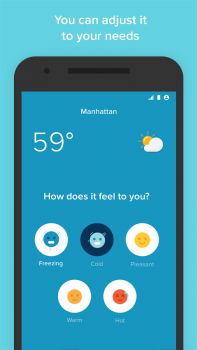 You tell the app how the weather feels to you. 60-degrees could feel cold so some people and perfect to other people. 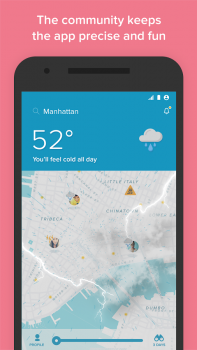 The app learns what weather you prefer and gives you forecasts based on that information. It also uses community input to precise forecasts. Swiftmoji has finally graduated from beta to a full release. This keyboard is made by the same folks who made SwiftKey. SwiftKey already has something called “Emoji Prediction,” but it’s not really predicting anything. 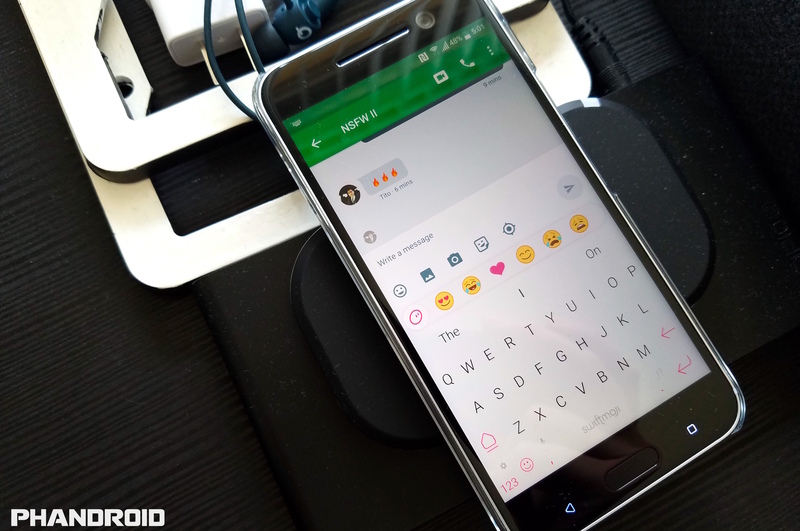 Swiftmoji adds a dedicated emoji bar above the regular keyboard that suggests emoji based on what you’re typing. 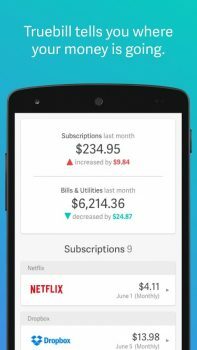 Truebill is the easiest way to find, track and manage your paid subscriptions and recurring bills. 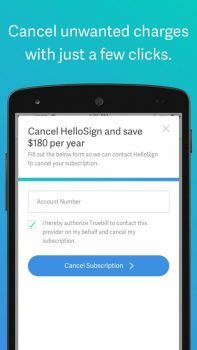 See where all your money is going, cancel unwanted charges, view how much you have paid for subscriptions over time, and see all your statements in one place. Truebill is your one stop for all your finances. Walli is wallpaper from actual artists. 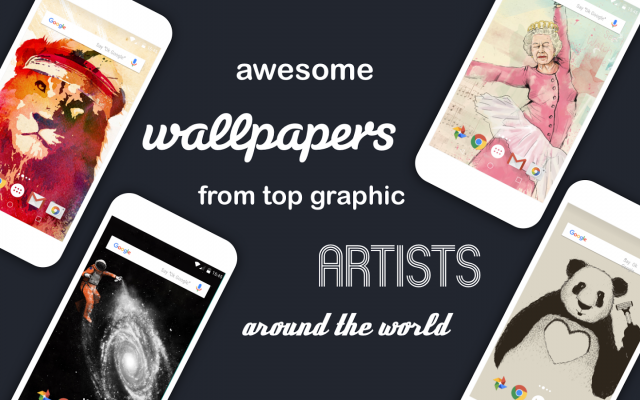 Many wallpaper apps feature simple minimal designs and material graphics, but Walli is full of real art created by real artists. Walli is a high quality, selective collection of unique and cool wallpapers exclusively made by artists, for your device. Your phone and tablet have never been so good-looking. 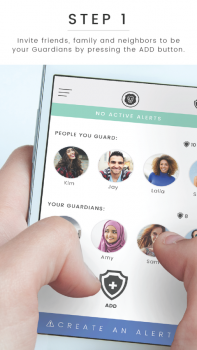 Guardian Circle is an app that lets you keep an eye on your friends, family, and neighbors. 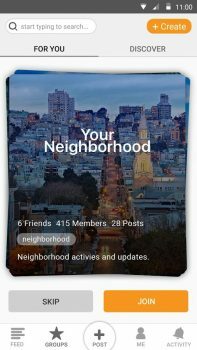 This is not another app that lets you track the location of people you know. 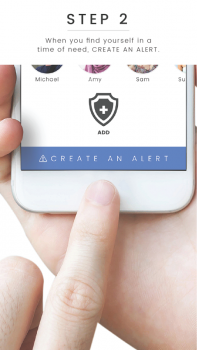 Guardian Circle is like your own personal Amber Alert. When you’re in trouble, press the button and everyone in your circle will be alerted. These are apps featured in our “Download This” series. 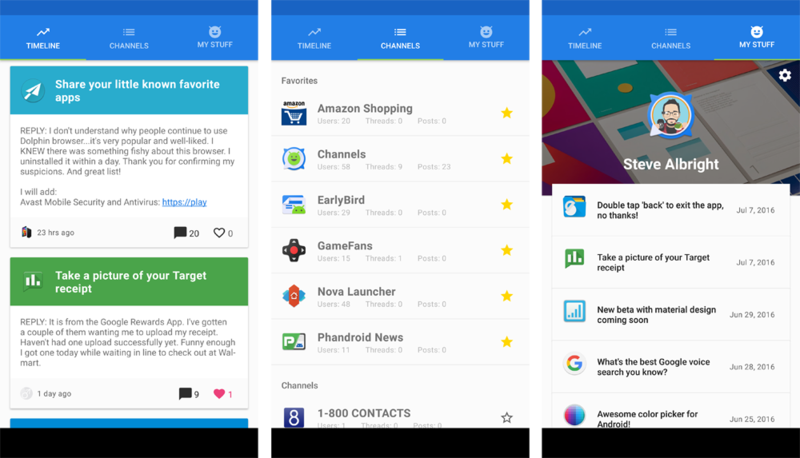 Not all of these apps launched in the last month, but we try to highlight apps that most people don’t know about. You might find a gem. Some of the biggest app news comes from app updates. 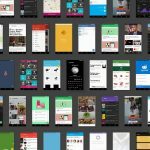 We try to highlight big updates to apps that introduce awesome new features deserving of an entirely new look at an app. Snapchat rolled out a big update this month with a new feature called “Memories.” Memories is a convenient new feature geared toward those who hate having to remind themselves to backup the awesome Snaps and Stories they’ve created for later viewing or sharing. Add snaps to your Memories and they will be tied to your account to see all the time. The long-awaited night mode in the official Twitter app has finally arrived. There’s nothing too special about the feature. 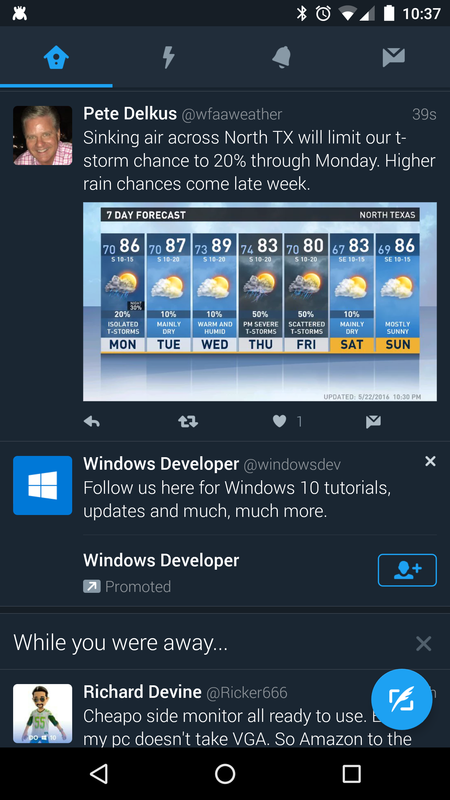 You can enable it at any time (even if it’s not night), and your Twitter app will switch to a dark navy blue theme. 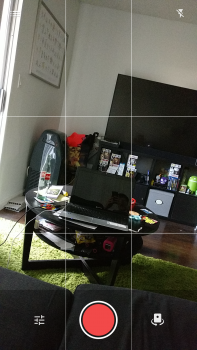 It’s much easier on the eyes. 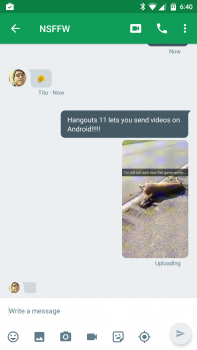 After it was introduced for iOS users back in February of 2014, Google finally updated the Hangouts Android app with video recording. 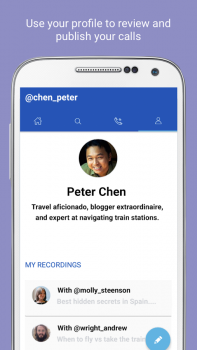 The update allows Hangouts users to record up to a minute of footage from either inside the app, or upload from video saved to their device and send it to whomever they like. The new feature for Google Play Books is called “Bubble Zoom.” It does exactly what the name implies: zooms in on speech bubbles. Simply tap on a speech bubble and it pops up in a bigger view. It’s really quite amazing. 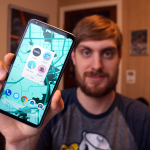 Bubble Zoom is made possible by Google’s machine learning.